PARLIAMENT – The Parliamentary Committee on Commissions, Statutory Authorities and State Enterprises (COSASE) has summoned former Executive Director Supervision, Justin Bagyenda to explain why they never furnished the Governor with reports regarding liquidation of assets of some of the closed Banks. The summons were issued by COSASE Chairman, Abdu Katuntu after admission by Central Bank Governor Emmanuel Mutebile, that he was never furnished with reports detailing how liquidation process of some of the closed Banks. The summons were issued today during a meeting between COSASE and Bank of Uganda officials who were responding to queries raised in the special audit report about the seven defunct Banks. In his report, Auditor General raised queries over the movement of assets of International Credit Bank after his team observed that at the time of takeover, assets were reported at Shs117Bn but when the auditors probed the Bank’s assets this year, only Shs19Bn was found yet no record of asset movement was recorded. Ben Ssekabira, Financial Markets and Development Coordinator (Bank of Uganda) who was hired as Liquidation agent to work alongside the audit firm, KPMG said only one report was given to the Bank in September 2001 and there was no frequency of reporting from KPMG. 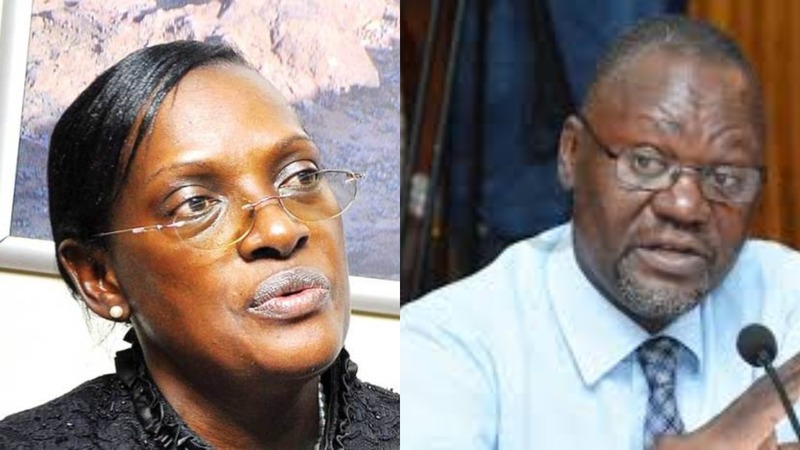 Katuntu asked if Bank of Uganda had dedicated an internal person to oversee the liquidation exercise and if such reports had been handed over to the Governor. However, Mutebile interjected telling the Committee that he never saw any of those reports brought to his attention, meaning he was left in the dark on how the liquidation process was undertaken by his juniors. Soon, the guns shifted to Ssekabira who admitted that as much as it is true the Governor never received reports and this was due to the fact that he doesn’t report to Governor but he was reporting to someone below Governor. Katuntu then asked to have the trio appear on Thursday alongside Bank of Uganda officials, saying they need a day to prepare themselves.